In 1960, about 2,300 twin pairs took part in Project Talent, along with 550 siblings of twins. Twins and their siblings present a unique and valuable opportunity for researchers: Because twins share critical parental, societal, and educational influences, in addition to genetic makeup, they allow us to understand the influence of genetic versus environmental and behavioral factors on the physical, cognitive, and psychosocial development from childhood into old age. In 2014, the first phase of the Project Talent Twin & Sibling Study (PTTS) was launched, in collaboration with the University of Southern California and with funding from the National Institutes on Aging. Approximately 2,500 twin pairs and their siblings joined the study, answering questions about their health, education, professional, social and family lives, interests, achievements, and regrets. 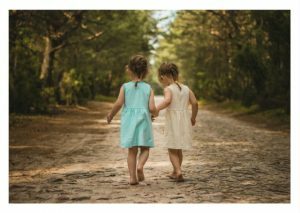 The goal of PTTS is to gather information to create the first nationally representative databank of twins and their siblings in the United States. In addition to including data from twins from adolescence into later life, Project Talent includes twins and siblings from traditionally underrepresented groups, including racial minorities and people from remote communities throughout the U.S., providing an exciting opportunity for more inclusive and informative research about the health of all Americans. Are you a twin or a sibling of twins who took part in Project Talent in 1960? If so, and you have yet to be contacted by AIR, please get in touch! We may have been unable to locate you for the study or we may not know you are a twin or sibling of a twin. You can do so by registering online with Project Talent, emailing us directly at [email protected], or calling us 1.866.770.6077. Want more information about the Twins and Siblings Study? You can read or download our research report, published in Twins Research and Human Genetics.